Workouts, whether they’re somewhat relaxing activities such as Pilates, or packed with high-intensity circuits like CrossFit, typically end with us in a pool of sweat. That being said, there’s nothing like a cute workout outfit to motivate us to head to our next fitness class. And when it’s hotter than hot out, a quality workout tank top can make all the difference in staying cool. Whether you’re all for spin or yoga class, the last thing you want post-workout is to walk around in sweat-drenched t-shirts and leggings. So when you’ve got a tank top that’ll allow you to breathe before, during, and after your workout, why not opt for that instead? 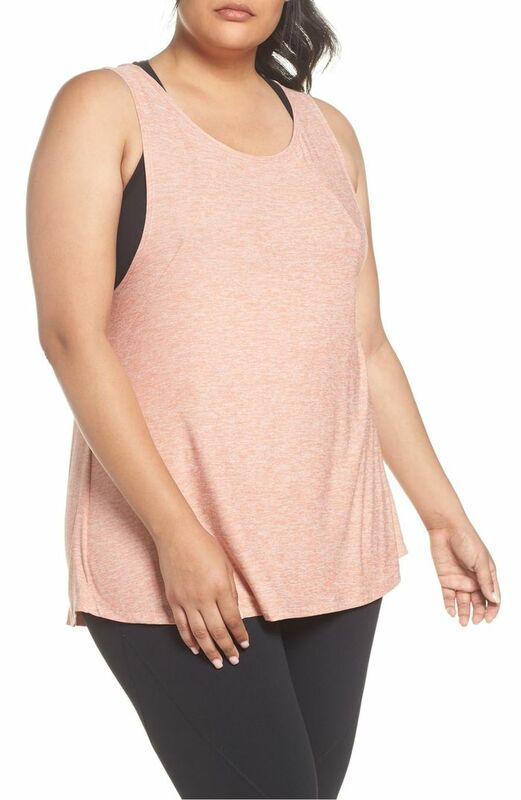 From loose-fitting tanks and muscle tees to wear over your favorite sports bras to moisture-wicking tanks to wear to your favorite dance class, shop our favorite workout tanks to wear for all your visits to the gym this season. This is perfect for your next yoga class. We love a classic black tank. This tank is so cute. Wear this for all your workouts. We love this color combination. Wear this hiking with your friends. We love a retro-inspired workout piece. This will be your favorite workout tank. Koral makes the coolest activewear pieces. This tank will get you through spin class. A heathered tank will always look so good. Adidas will always make quality workout tanks. You’ll stay cool in this tank. This will be so good for all your summer workout activities. Bright orange is a major color this season. Wear this everywhere from a run to a yoga class. A top you can wear to a workout class and then to brunch afterward. A crop top will be so good for the season. Available in 1X to 4X. Stay cool during your workouts all season long in these.